Co. Kerry born jockey Paddy Kennedy finished second in Saturday’s Aintree Grand National on the Jessica Harrington trained Magic of Light. This Pott’s owned mare was priced up at 66/1 in the betting, yet the Dingle native Paddy Kennedy evidently made a mockery of that enormous price by running the reigning champion Tiger Roll right to the line. 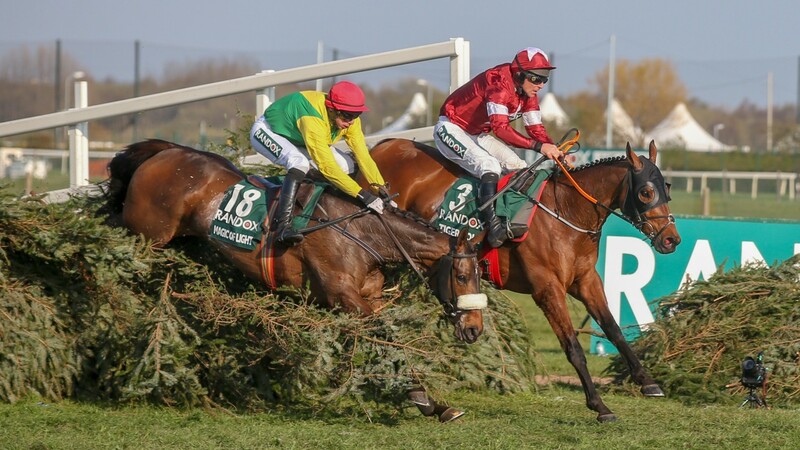 Indisputable Tiger Roll had a fair bit up his sleeve at the finish, nonetheless the sheer fact Kennedy kept within such a close proximity of him is nothing short of astonishing and it being his first ride over the unique national fences shows his extraordinary horsemanship and competence of following the trainer’s instructions and guidance. Things were a lot different for Kennedy back in 2017 when diagnosed with cancer, though the manner which this young man has bounced back from this traumatic ordeal shows his valour and determination for life and horse racing. In a recent interview with Irish examiner Kennedy insisted; “2017 was my best year yet and I had two winners in Galway, but I had a lot of things on my mind that week. They (doctors) had just found a tumour on my bladder and I was due to go for surgery the following week so while it was great to get the wins, I just couldn’t really enjoy them. I go for regular check-ups now and have been given the all clear. I didn’t say anything about it at the time because I didn’t want people feeling sorry for me but touch wood, all is okay now. It definitely puts things into perspective for me”. That extract is a deep denotation of the bravery and strength people have to go through during challenging times in life. When we bemoan about insignificant glitches, it’s worth bearing in mind the brawls others have been through health-wise and seeing them with a smile on their face really puts things into perspective. I have no doubt trainer Jessica Harrington has nothing but praises for Kennedy’s master-class on Magic Of Light, also the £211,100 prize-money for coming second will be very much cherished by the Pott’s family. This was almost a fairy-tale result however I still think Kennedy has much more to give, the best of him is yet to come. Previous WERE WOULD IRISH RACING BE WITHOUT O’LEARY?